Check out the amazing rooftop bar overlooking the Cumberland River at Acme. Grab a Mule Kicker and enjoy a relaxing view of Nissan Stadium, the Pedestrian Bridge, and a great time with friends. Acme has four floors – one for every mood you’re in! Enter on the ground floor and experience the stage, bar, and eatery. Order your food there, and take it to one of the other floors if you like! The Second floor houses a lounge as well as a terrific sushi bar. Relax and watch a game or have an easy conversation with friends over a drink! The Third Floor houses venues that are available to groups for private events. Great space that can be configured in a number of ways – and on some nights Acme is now offering a “writer’s night” listening experience, which also takes place on this floor. Check their calendar for events and times. The Fourth floor is one of the best rooftop bars in Nashville. Relax and enjoy the view! 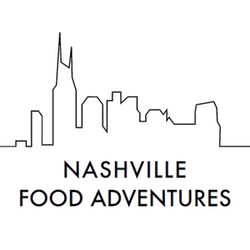 Tell them Nashville Food Adventures sent ya!